More than a tournament; this week sees the return of Super Smash Con, the aptly named Nintendo Fan Convention all about Super Smash Bros., and of course, one of the years biggest and best tournaments. 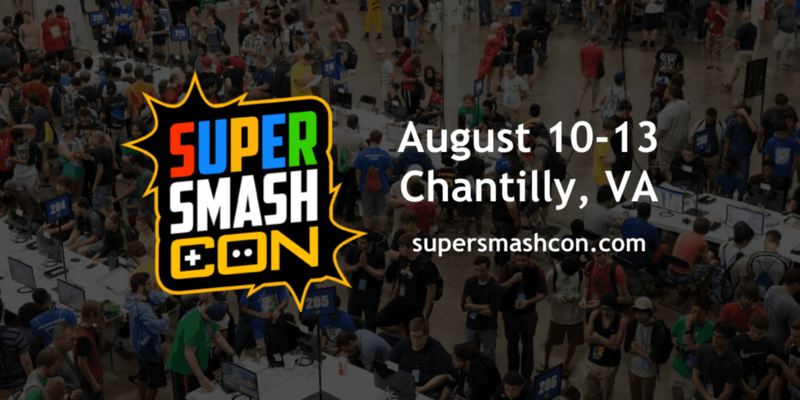 Why: Not only is Super Smash Con a tournament, it is a complete convention, with panels and all! Not only is it a great event in person, it is fully streamed so you can get a great experience from home as well! Some of the unique events this year include the first ever Smashies hosted by Coney, the Smash community’s awards show. Our own Gage Edwards will be at the event this year, so stay tuned to the n3rdabl3 Twitter and join him! Why: The European talent is congregating early in the UK for next week’s Heir 4, and this Regional event is sure to be a boost of confidence to whoever walks away with the trophy. Will it be Professor Pro who breaks the 1st place plaque once again?